A lightweight and high performance trimmer for professionally oriented users. Perfect for gardeners, landscapers and contractors. Features excellent ergonomics and balance, 2-way rotation trimmer head and long-lasting brushless motor. Price includes battery and charger. Components also sold separately. Agile and lightweight battery-powered forestry clearing saw with truly professional performance. Offers high chain speed plus balance, lightness and low vibration for easy, precise work free from noise and direct emissions. Especially suited for uneven and dense terrain where superior freedom of movement is needed. Price includes battery and charger. Components also sold separately. The Husqvarna 536LiHE3 battery pole hedge trimmer combines petrol performance with zero direct emissions and extremely quiet operation. With up to 3.5m reach, high cutting speed and Husqvarna durability, it gives pro-level productivity and results – but is quiet and clean enough for use even in residential areas, hotels, hospitals and other noise-sensitive environments. Remote control angle adjustment and comfortable handles make the 536LiHE3 ideal for any operation. Price includes battery and charger. Components also sold separately. A lightweight and high performance bullhorn trimmer for professional users. Perfect for gardeners, landscapers and contractors. Features excellent ergonomics and balance, 2-way rotation trimmer head and long-lasting brushless motor. Comfortable harness and 3-tooth grass blade included. Price includes battery and charger. Components also sold separately. Battery pole saw for professionals with long 4m reach and performance that surpasses petrol equivalents. Maximum performance and durability with low weight, excellent ergonomics and quiet operation for use in any location at any time of day. Price includes battery and charger. Components also sold separately. Telescopic battery pole saw for professionals, with 5m telescopic reach and performance that surpasses petrol equivalents. Maximum performance and durability with low weight, excellent ergonomics and quiet operation for use in any location at any time of day. Price includes battery and charger. Components also sold separately. 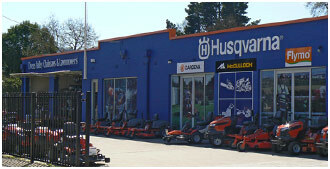 The Husqvarna 115iHD55 Hedge trimmer is easy to use, easy to handle ? and quiet enough for seasonal use in residential areas. Comfortable and durable, it offers powerful performance with no direct emissions. Safe, convenient starting via the intuitive keypad, efficient brushless motor with savE? function for extra runtime and long-lasting Li-ion battery make it a great choice for homeowners. Battery and charger included. Lightweight, quiet and battery-powered hedge trimmer for commercial use with 60cm long double-sided cutter bar. New proprietary motor and new powerful battery will allow you to maximise your working time. The pivoting rear handle makes it easier when cutting both vertically and horizontally. Price includes battery and charger. Components also sold separately. For professionally oriented users who want a lightweight, high performance chainsaw. Perfect for carpenters, contractors, treecare workers and olive farmers. Features excellent ergonomics, high performance and high chainspeed. Price includes battery and charger. Components also sold separately. For professional users who want a lightweight, extremely easy-to-use top handle chainsaw with high performance. Perfect for arborists. A robust chainsaw with excellent ergonomics, high performance and high chainspeed. Price includes battery and charger. Components also sold separately. Well-balanced, comfortable and efficient professional battery blower. The machine’s low noise level allows you to work in the most public of settings. An easy tap on the keypad starts the machine instantly at all times and the cruise control means full focus on blowing leafs and debris away. The blower also has a boost power mode that gives you a little extra power when needed. Price includes battery and charger. Components also sold separately. Ideal for homeowners or for trimming complex areas, this intuitive hassel-free battery mower can mow an average-sized garden quickly and quietly in a single charge. The mower is easy to manouevre due to it’s light-weighted and compact deck and ergonomic handle make it easy to steer even round small places. Price includes battery and charger. Components also sold separately.